When you think of a spectacular Alaska vacation, what comes to mind? Witnessing glaciers calve into the sea? Riding the world-famous Alaska Railroad? Seeking out wildlife in Denali National Park? Or maybe it's cruising through the sea to watch for seals, sea otters, birds, and even whales. Whatever it is, this Alaska tour is sure to delight! Board the Alaska Railroad in Deluxe Dome Service to Denali National Park, where you'll hear an exclusive presentation by a local Naturalist-a special experience offered by Globus! Seek out grizzly bear, caribou, moose, and more on a wilderness expedition in Denali National Park. 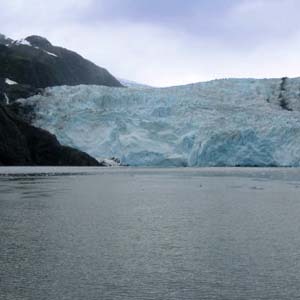 Take a cruise on Prince William Sound and along Columbia Glacier, the second-largest tide-water glacier in North America. You'll also take a cruise of Kenai Fjords National Park to see glaciers calving into the sea and to hear the thunderous roar. Photos and videos cannot adequately capture the experience-you must witness it in person. On both cruises, be sure to watch for wildlife. 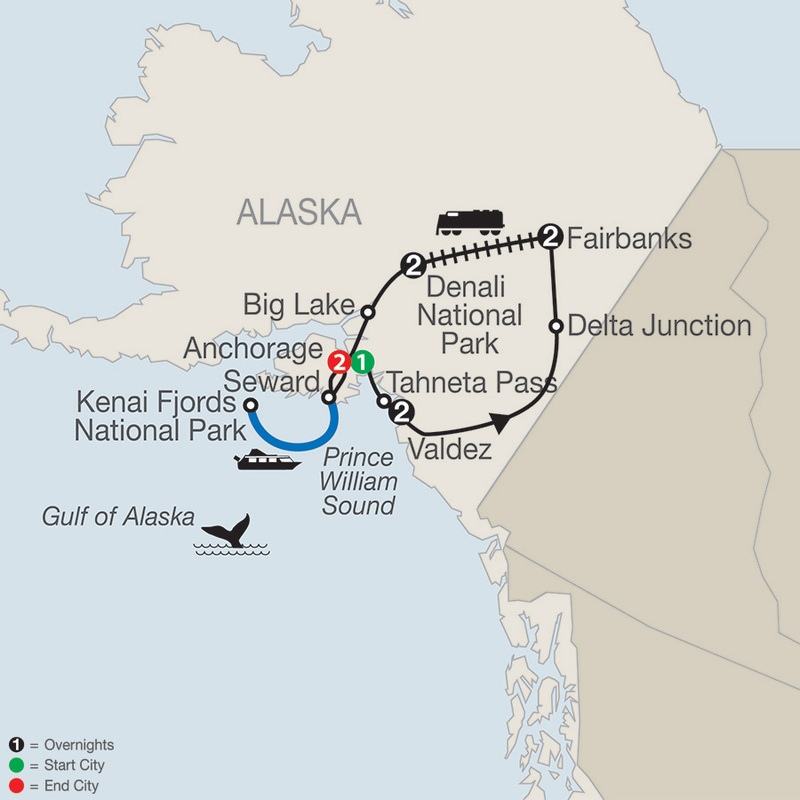 See the Trans-Alaska Pipeline Terminal near Valdez, take a sternwheeler cruise in Fairbanks, visit the home of four-time Iditarod champion Martin Buser (another out-of-the-ordinary experience offered by Globus), and enjoy all the scenery and majesty that only a vacation to Alaska can offer. Grab your camera and get ready for an Alaska tour that will leave you breathless and inspired-a travel experience of a lifetime.